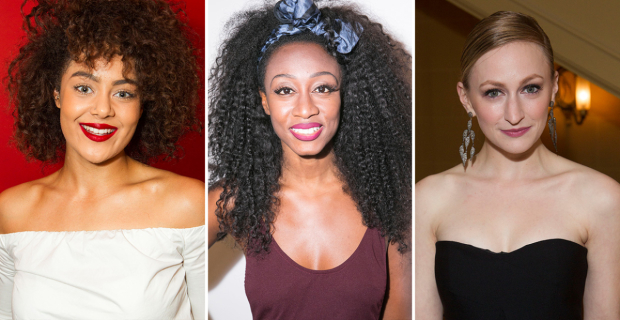 The Old Vic has just announced the cast of the new musical SYLVIA, which will have its world premiere on 11th September, with previews from 3rd September running until 22nd September. Sylvia is directed and choreographed by Kate Prince and combines dance, hip hop, soul and funk in a show revolving around the power of the Suffragette movement. It has book by Prince and Priya Parmar, with music by Josh Cohen and DJ Walde. The show marks 100 years since the first women were given the vote in the UK, and comes in the Old Vic's 200th birthday season. SYLVIA is a modern musical celebrating the life of Sylvia Pankhurst, her pivotal role in the campaign for women's rights and the price of the passion and politics that tore her family apart. Beverley Knight will play Emmeline Pankhurst, with Genesis Lynea as Sylvia Pankhurst, Carly Bawden as Clementine Churchill and Annie Kenney and Izuka Hoyle as Emily Davison. The company will also include Delroy Atkinson as Winston Churchill, Verity Blyth as Adela Pankhurst, John Dagleish as Keir Hardie, Jade Hackett as Lady Jennie Churchill and Edith Garrud as Silvio Corio with Todd Holdsworth as H G Wells. Jaye Marshall is dance captain, with Tachia Newall as Lloyd George, Maria Omakinwa as Ada, Karl Queensborough as Harry Pankhurst, Ross Sands as George Bernard Shaw and Richard Pankhurst, Witney White as Christabel Pankhurst and Elliotte Williams-N'Dure as Flora Drummond. It has design by Ben Stones, lighting by Natasha Chivers, sound by Clement Rawling and casting by Jessica Ronane. The band leader is Josh McKenzie with vocal arrangement by Michael Henry.